Great tips for cleaning your home without breaking the bank. Cleaning doesn’t have to be expensive. There’s no need to turn your house into one giant laundry room with all the soaps, brushes and detergents you buy for each area you come in contact with. An inexpensive alternative to this way of living – indeed a preference – would be to know your cleaning hacks. They are, in fact, all around you; they’re merely being used for other things – or collecting dust in the depths of an old cabinet. Do not fret if you have not yet been able to find them, for they are not immediately obvious. Read on for some super handy-to-know cleaning hacks. A non-carpet floor is, of course, preferable when it comes to cleaning, but if you have carpet, never fear. There is a clever hack used typically for oil stains. Simply leave a layer of baking soda on the carpet for 10 minutes and vacuum it off. Then apply vinegar and dishwashing detergent to a dampened sponge and start scrubbing. After several minutes, wash it down with cold water and the results should be untarnished. Alternatively, for less damaging stains, ironing over the carpet has been known to work quite well. If you’re looking to buy new carpet that is maintainable and easy to clean, look at companies like Stainmaster (to visit their page click here). The most amount of dirt can be found in the trickiest of places, which is when the DIY method of scrubbing comes in handy. The most immediate solution is, of course, the toothbrush, but Q-Tips (or cotton tips) also work just as effectively. These hacks are typically used to clean the edges of windows and computer keyboards. But before you rush off and grab the nearest toothbrush to start scrubbing, consider how effective this will be without the right DIY detergent. Vinegar is the ultimate cleaning hack — it will leave any dark, hard-to-reach area looking immaculate. For windows, simply dipping your toothbrush or Q-Tip in pure vinegar will have each edge looking spotless. Pure vinegar also does wonders to a dirty toilet bowl. It is also used on kitchen items such as the microwave or coffee pot, though this is typically achieved as a mixture – a cup or two of water and a couple of tablespoons of white vinegar. To prove how simple this method is, all you need to do is use the mixture the way you would use the item: leave the mix in a heated microwave for five minutes before scrubbing it down, and for the coffee pot, brew the mix the way you would for a regular cup of coffee. See more uses for vinegar below. This isn’t as brain-teasing as it sounds. Thinking outside the box can mean a couple of things: firstly, know what to keep and what to throw out. If you’re not wearing a piece of clothing and you’re not cleaning with it, you’re giving it away. So while using what you have is essential to the DIY lifestyle, don’t be a hoarder. Secondly, clean out your air conditioning unit regularly! The reason this counts as a cleaning hack is because regular maintenance will save you a lot of money on what most people would use for repairs. Knowing your cleaning hacks will save you a lot of time and money. You will no longer be constantly running in and out of stores, buying multiple kinds of cleaning material and repairing something you will only neglect until you need to repair it again. Hacks provide you with extra leisure time, a priceless reward for knowing where to look. White vinegar is an excellent household cleaner, effective at killing bacteria, germs and moulds due to its high level of acidity. Here are six tips for keeping your kitchen and laundry clean. Wipe down kitchen benchtops with vinegar and not only does it disinfect them, it deters annoying critters like ants and silver fish. To remove stale odours from plastic containers, dip a slice of bread in vinegar and leave it in the container overnight. If glassware comes out cloudy from the dishwasher, soak paper towels in vinegar and wrap around the glass (inside and out). Leave for a while then rinse clean. 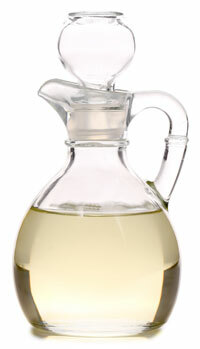 Use white vinegar in the dishwasher in place of a rinse agent – it works a treat. Need to remove deodorant stains from clothing? Rub with a vinegar-soaked cloth then wash as usual. If holes are left in fabric after letting down a hem, place a vinegar-soaked cloth over the hem and iron on top of it.